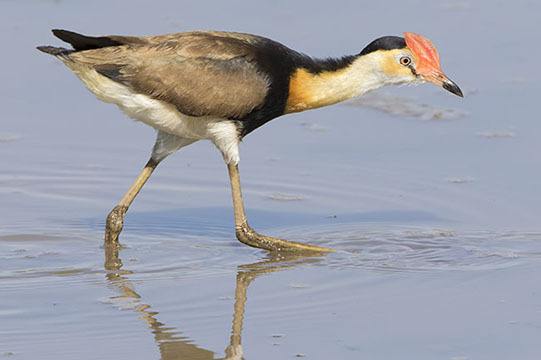 Comb-crested jacanas are common on freshwater lakes and ponds across much of northern Australia. 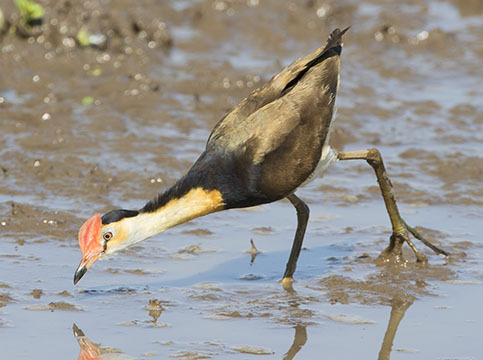 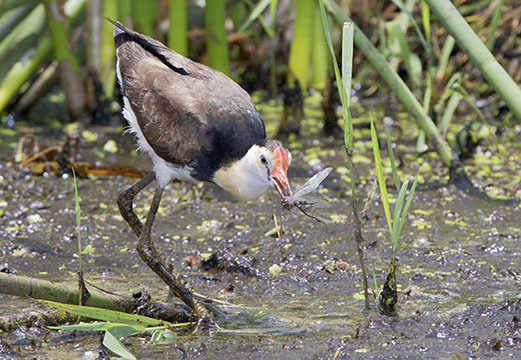 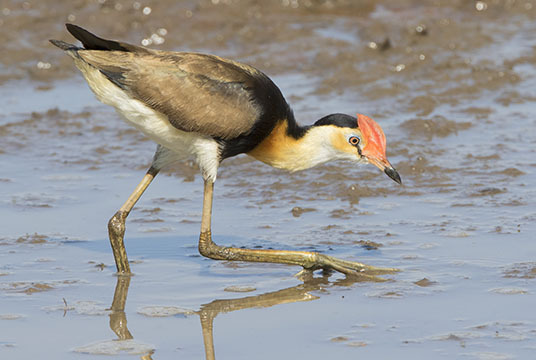 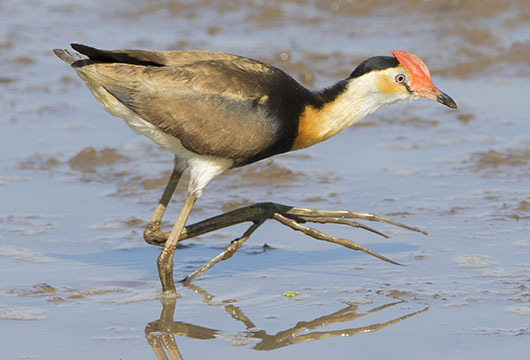 Like other jacanas, they have extraordinarily long toes that let them walk across water plants and soft mud without sinking. 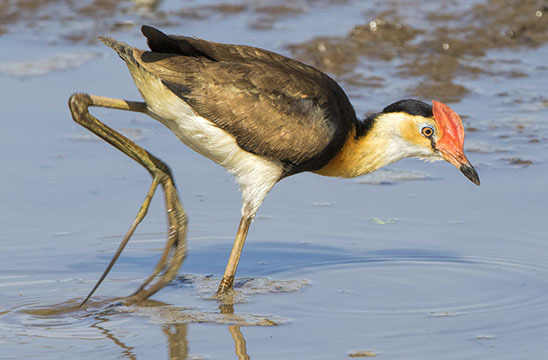 These were photographed at Fogg Dam and Kakadu Park in the Northern Territory.